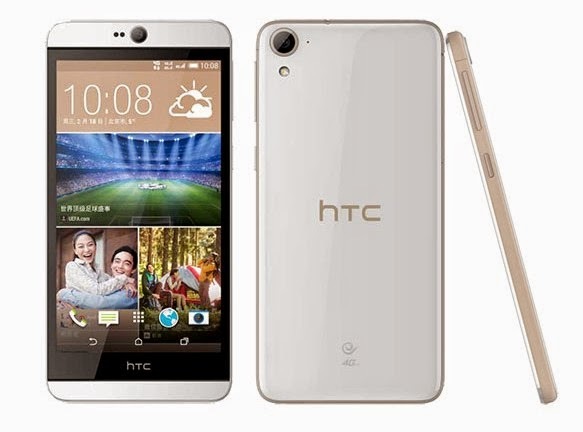 Desire 826 is one of mid range affordable smartphone from hTC with great example of engineering Craftsmanship. Phone has quite decent specifications such as 5.5 inches display, v5.0.1 (Lollipop) OS, 13 MP Front and rear camera, 16 GB internal memory that can be extended up to 32 GB, 2 GB RAM, 4G Enabled, and 2600 mAh battery. It has charismatic design built on plastic body; feels well built with quite Slippery glossy back. The display is bright and vibrant having 1080p resolution and 401 ppi display density produces clear sharp images even look sharp enoegh in sunlight, it has good viewing angle so we can say that the display is one of best in its class. SIM one = 4G, SIM two = 3G only. The Smartphone is powered by Qualcomm’s 64-bit Snapdragon 615 SoC with clock speed of 1.7 GHz and Adreno 405 GPU; hardly show any lag even in playing high end games. This is great in camera department especially people utilizes front camera for taking a lots of selfies, Both primary and secondary camera have 13MP sensor performing well under good light. Battery capacity in papers is 2600 mAh but it gives average battery backup while heating problem is also associated with this Smartphone. Sharp, vivid and blissfully display. HTC BoomSound™ with Dolby Audio™ has really good sound quality. Touch is smooth with no lag/hang. Plays all graphic intensive and heavy games very smoothly. Camera has oversaturated photography in daylight and blur in low light, Focus not satisfactory. Battery full charging time is more. It doesn't come with gorilla protection. NFC is not available in this handset. This Smartphone has decent configuration on its price but it is slightly higher as many competitors providing Smartphone in lower price with great specs. But this Smartphone also retains good points for customer as it has a classical and premium look, smooth lag free performance, BoomSound with Dolby Audio for music lovers.